Let’s see how I tackled these. 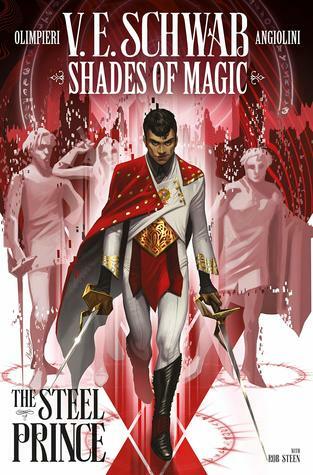 First up was The Steel Prince, Vol. 1 by Victoria Schwab & Andrea Olimpieri. I read this in one sitting, though I really intended for it to take me longer. I like to split up my graphic novels into two days, read them in halves, but this was short, both in words and in plot, so I kind of flew through it. I’ll talk more about my actual feelings about the story itself in my wrap-up review, but let’s talk about the authors and the female characters here. First of all, bravo to Schwab for taking on her fourth different type of book! She’s now written adult, young adult, middle grade, and a graphic novel! She’s a freaking badass. Not only that, but she made sure to include diverse, complex women in this story, women that smash normal stereotypes and tropes out of the water, and I am so damn proud of her. This is pitched as a story about Maxim Maresh, and while it is, it truly is, it’s also not really. This volume definitely had a huge focus on Isra, and I am here for it. Okay, that last one isn’t relevant, but come on. This is a Book. It’s so well crafted, and it’s so diverse, and it just really hits the nail on the head. It’s the story of our current world–a little POC girl is tricked and deceived and disbelieved by older white men and women, most of them rich in some way, and used until she finally realizes that she is stronger than all of them put together simply because she is fierce and she doesn’t need them to stand on her own two feet. Mara is powerful because she learns to use her own voice. She is strong because she learns to trust only those who deserve it. And she is so damn amazing because she gives no shits what anyone wants from her unless they’re willing to give a little of themselves, too. This is such a moving, beautiful little book. I am, truthfully, doing miserably on keeping up with both my March TBR and the women’s challenge this month, but I’m making a concerted effort to close out both of them, or at least as much as I can, in the next week and a half. 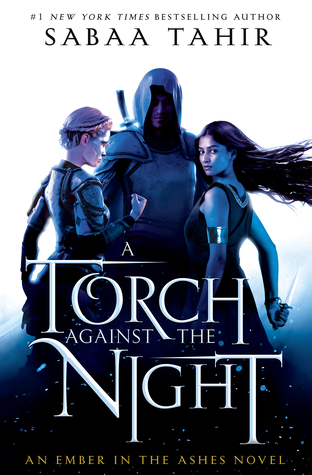 I meant to read A Torch Against the Night, which is by a POC woman, about a POC MC, and has a woman on the cover, in February, but that didn’t happen, and then, for some reason, I’ve been putting it off this month, but the second I started it last night, I was like AH YES I REMEMBER WHY I LOVED THIS. LAIA IS SUCH A BADASS. This was such an interesting sequel. In the first one, Laia is 100% badass 100% of the time. But in Torch, she’s forced to kind of step back and evaluate herself. As women, I think we tend to have a lot of moments of self-doubt around our male counterparts. But no one ever wants to actually discuss that, so we’re just put on this pedestal of needing to be, like in Ember, 100% badass 100% of the time. But this sequel allowed Laia to, as we call it in the yoga world, feel your feelings. She let herself feel guilty, unsure, inferior, and angry, which, in turn, allowed her to really look at the root of why she was feeling those feelings and come to terms with them. A big plot point in this book is Helene being unmade, but really, that same plot point works for Laia, too. She has to step out of the shell of letting other people lead her and stand in her own truth, believe in herself, essentially unmake her beliefs so that she can come into a new version of herself. It’s powerful, and it’s really well done, and it’s one of the main reasons I enjoy this series so much. The women in it are not just badasses for the sake of strong female characters. They’re fully fleshed out individuals. Right off the bat, I love Michelle Obama a lot. And this did not disappoint at all. In fact, I think I loved it more than I even expected? Michelle was honest in such a refreshing way. The way she writes feels like a casual conversation in a cozy setting, and the ease with which she draws you into her story is wonderful. 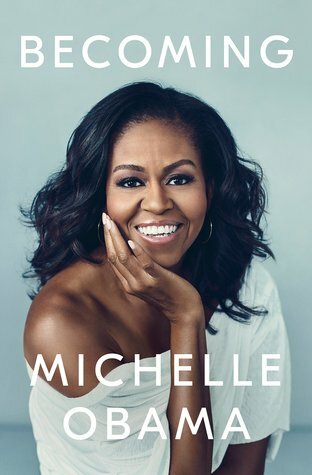 I loved hearing about her struggles and uncertainties as a woman, particularly in feeling like people expected her to sacrifice her career for Barack’s and in trying to find her voice, because YES. So many times, I heard my own fears in her story, and it just reminded me that women are capable of overcoming so much and still being absolute queens on the other side. If you love the Obamas or if you just want to be inspired, or maybe both, give this a read. I set myself a goal of 7 books. I only ended up reading 4 of those, but of those 4, all had POC MCs, and I am really proud of that. I’ve been trying to get more diversity and representation in my reading, and it’s finally starting to happen. So, though I did not complete all 7 books I set out to read, I’m really pleased with the ones I did read. Thank you again to Margaret for hosting this fun (and much needed) challenge! You did so well with all of these wow!!! 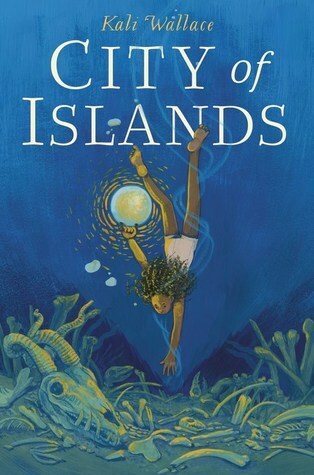 That’s wonderful that you enjoyed all of the books and you read, and that they were all so diverse 😄 And City of Islands sounds so cool??? City of Islands was fanastic! I definitely recommend it if you like middle grade at all.